What will the economy look like in fifty years? How will our lives as consumers and workers be transformed by the coming innovations in technology, the marketplace, and the workplace? How will changes in demographics and dependency affect our political system? Will economic freedom rise or fall? What, if anything, would greater prosperity do for oneÃ¢ÂÂs total well-being? Just as important as the bookÃ¢ÂÂs predictions are its insights into how we should think about an uncertain future. 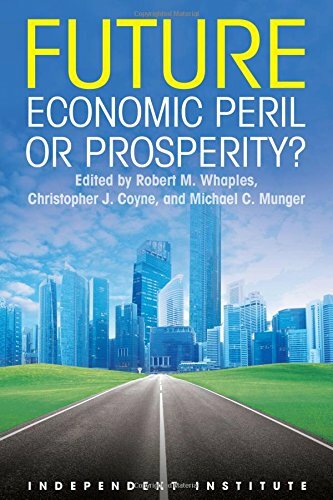 As humorist and social critic P. J. OÃ¢ÂÂRourke shows in his erudite chapter on self-fulfilling prophecies, wildly wrong predictions are not limited to the likes of a Nostradamous or a Karl Marx: even a Nobel laureate economist running a billion-dollar hedge fund can lose the farm (and other peopleÃ¢ÂÂs money) through an overly confident misreading of the economic tea leaves. And yet, perhaps only by delving more deeply into long-term forecasting, and reflecting on past mistakes, can we minimize the hubris that so often clouds the judgments of prognosticators in academia, business, andÃ¢ÂÂperhaps especiallyÃ¢ÂÂgovernment.